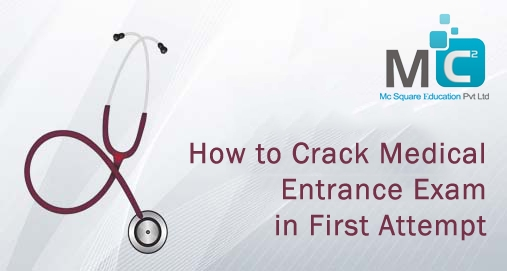 Which study material is useful for your medical entrance exam? Which coaching is best for preparation? How to increase paper solving speed? What type of food is good for your health? How to do proper time management? This question come into students mind at the stage before NEET exam. NEET UG entrance exam is comparatively harder than other medical exams. This exam is the entrance for all medical universities in India for future doctors to achieve their dreams into real world. Competition level for entrance exam is increasing fastly year by year. In India approximately 63,835 medical seats available through NEET UG exam and nearby total 11 Lakhs students give this exam. There is tough competition between number of medical exam seats & students. So to become a winner of this Competition must have deep knowledge of each and every topics. So Mc2 Academy helps you to solve all your coaching related problems & score a good marks in NEET UG Exam. "Time is Money" you know the importance of this time very well in today’s life .This phrase is also applied for exams. Each students trying to do their 100% preparation, But they fail to do this thingd due to lack of proper time management and due to this he/she are unable to give their best result . Because of this number of students goes in depression, stress. Depression results suicide in many cases. So neglecting time management factor is harmful to you. Syllabus for exam is very vast and harder. Only hard work is not sufficient to achieve high score with this you have to do smart work for time management and guidance. In such conditions joining the best NEET UG coaching classes decision is like climb the first step of the success Everest. Mc2 academy conducts practice test series in classes to improve all your question solving speed and helpful for removing all your other weak point related to exam. You have to also prepare for Board exam with NEET exam in the last few months. Conceptual doubt arrives along with deep study, So expert faculty guidance is work like medicine in such cases. MC2 Academy is the best NEET UG Coaching institute in Pune with an experienced faculty for the entire subject. Our aim is not only got higher score in exam, also give useful knowledge to student for higher studies.